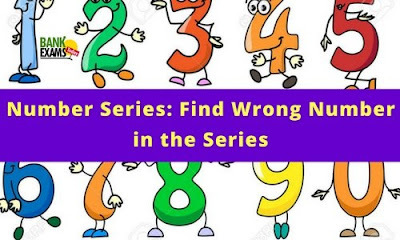 Directions ( 1-5): In the following number series one number is wrong. Find out the wrong number. Hence, there should be 60 in place of 59. Hence, there should be 27 in place of 30. Hence, there should be 23 in place of 30. Hence, there should be 380 in place of 385. Hence, there should be 21 in place of 29.